The abdominals are believed to be the key to protecting us against developing lower back pain. Strengthening these muscles through sit-ups has been recommended for this purpose. Nevertheless, many people ‘‘do their sit-ups’’ and yet still develop back pain. Why? There are a number of myths about the abdominals, sit-ups, and back pain. 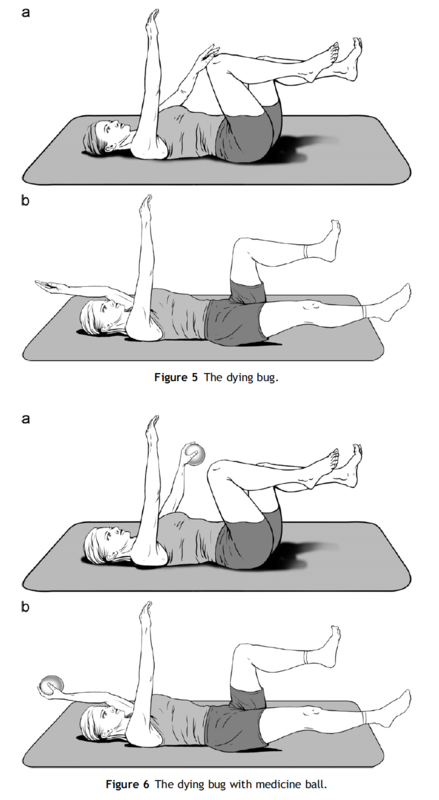 Firstly, weak but well-coordinated abdominals have been shown to protect us against lower back pain. 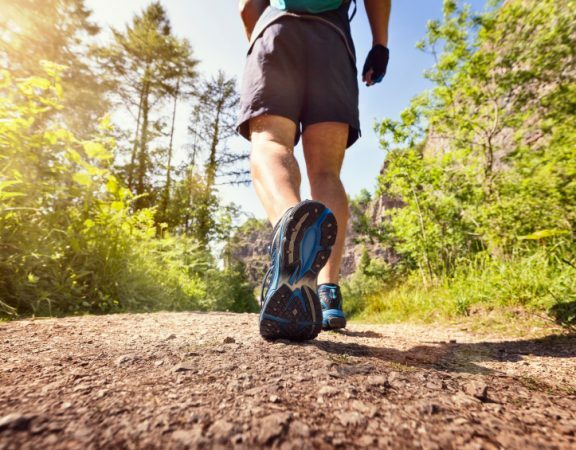 Strength without coordination can actually cause increase the likelihood of developing pain. Second, the sit-up actually increases disc pressure, especially if performed in the early morning. 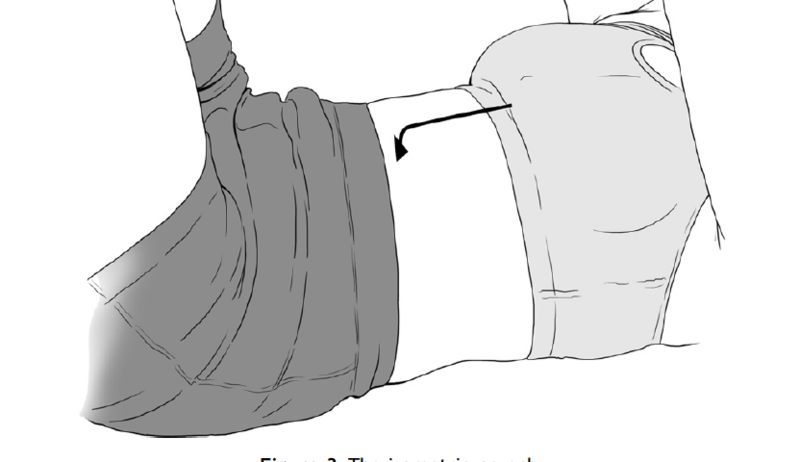 Sit-up also recruit hip flexor for half of the movement and therefore not a very good isolation exercise for abs. 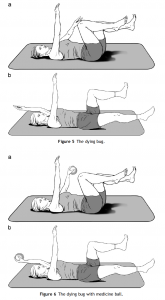 Properly training the abdominals can be a hedge against recurrent lower back pain. Here are a few well thought out and scientifically validated ways to train the ‘‘abs’’. First, it is important to know how to isometrically activate the abdominal wall. This is called BRACING. Bracing is simple. All you need to do is imagine someone is going to push you or hit you. 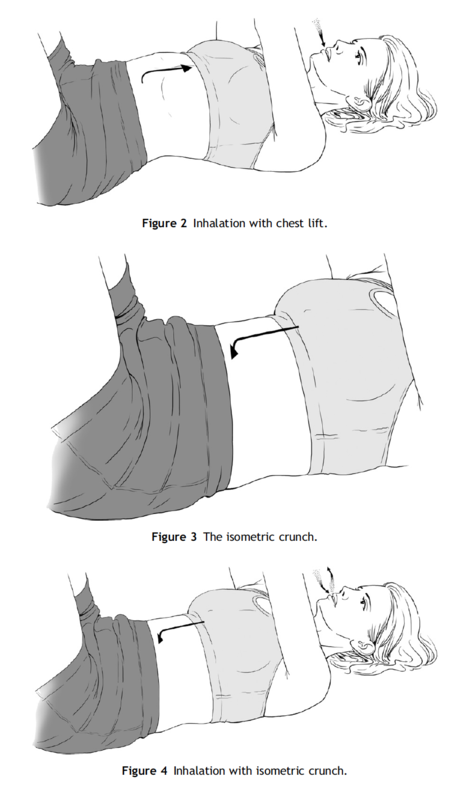 Automatically, you tighten your ‘‘core’’ or brace with your abdominals. This is quite different from various popular strategies of sucking your navel in (i.e. abdominal hollowing) or performing a pelvic tilt. 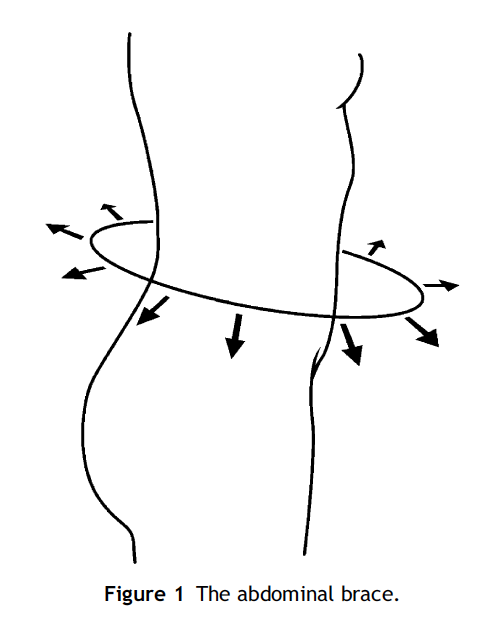 In fact, bracing often makes the navel protrude out slightly, and this is, in fact, exactly what weight lifters do to protect themselves (Fig. 1). First take a deep breath in and feel how your lower ribs and chest lift up (Fig. 2). Let go of your breath and perform a slight sit-up, lifting your upper torso off the ground—and notice how your lower ribs move down. 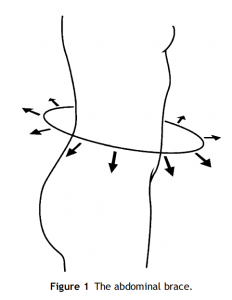 This downward movement is why the term ‘‘crunch’’ is applied to sit-ups. You will also notice that your back flattens when performing this motion. Now, try to perform this ‘‘crunch’’ isometrically without raising or curling your upper torso (Fig. 3). Be sure to add a brace to this crunch and hold the crunch without holding your breath. This is not easy! If you can maintain the ribs in a downward position while breathing in you are ready to graduate to the next level of exercise (Fig. 4). 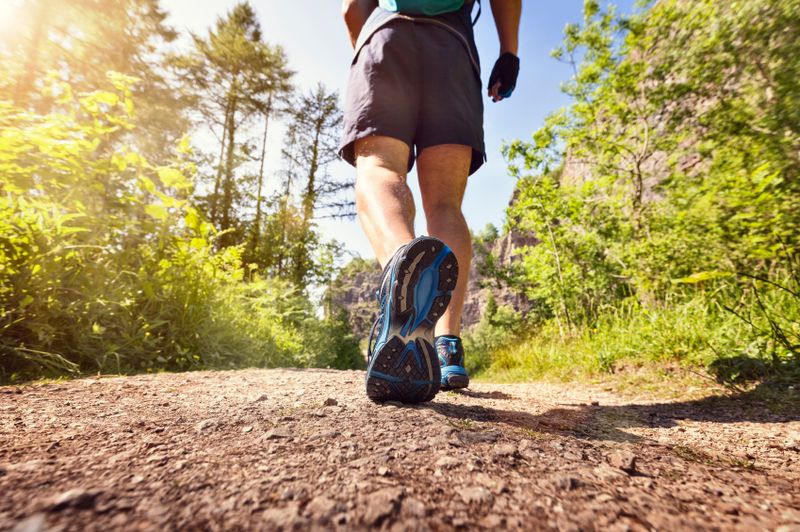 Bring your feet up in the air so that your shins are horizontal and your thighs vertical (90/90 position). Reach to the ceiling with your hands as high as you can. Tap a knee with the opposite hand ( 5a). Then extend your arm and leg on opposite sides ( 5b). Progress by adding a small medicine ball in your hand ( 6). ©Copyright 2018 - Disc-me.com All rights reserved.